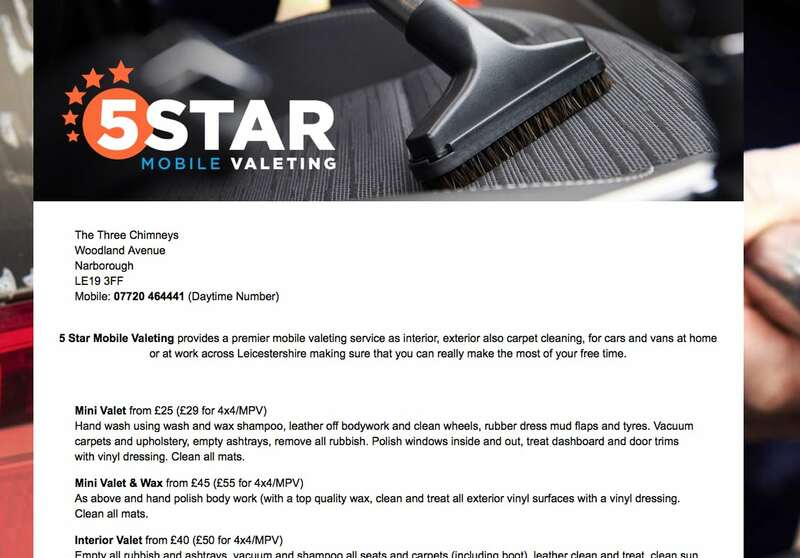 5 Star mobile valeting services Narborough approached us with a simple problem. Their we presence was hosted on a directory site that was going to be discontinued. Caged Fish “No job too small” or big to be fair! !